As Dr. Paul Branson struggles to make sense of the world after tragically losing the love of his life, he embarks on a journey to help the children of the African Bush — a dream they’d shared for years. He has little hope in recovering when Leza, a little girl with cancer steals his heart and changes his life. Believing he has found purpose in Africa, Paul’s world is turned upside down when Quinn, leader of the Lord’s Resistance Army (the LRA) kidnaps him and Leza. Threatened with Leza’s death, Paul is forced to cooperate with the LRA as he learns of Quinn’s plans to exterminate the people of South Sudan for personal gain. As Leza is dying, Paul must race against time to escape and find a way to stop Quinn, or Leza and thousands of others will die. I am pleased, honored and excited to announce that one of the largest publishing houses in the world has signed me as an author. 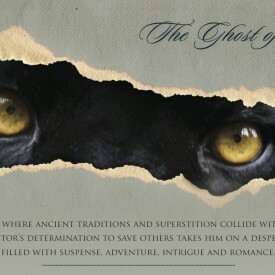 THE GHOST OF AFRICA is scheduled for release in April, 2016. Next: WHERE DOES GOD CALL US TO GO?